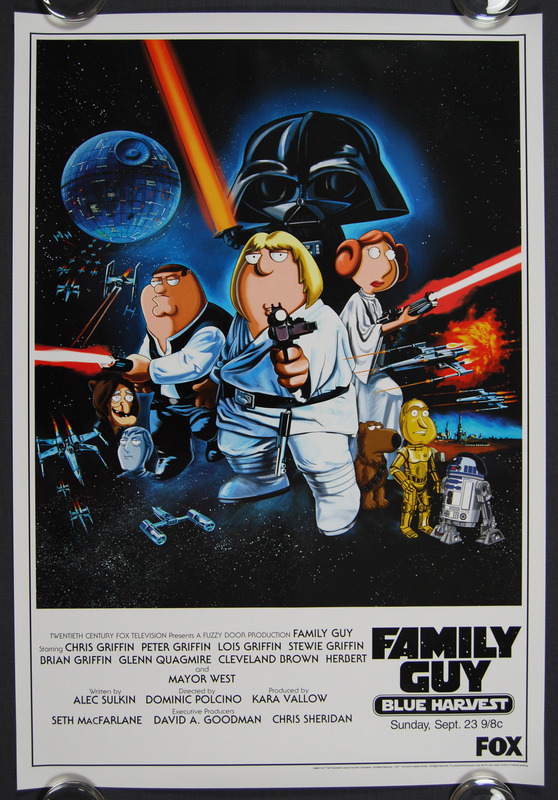 Star Wars: Family Guy - Blue Harvest (2007). Original One Sheet Gift Poster. 27 1/8" x 39 5/8" Single sided. 2007. 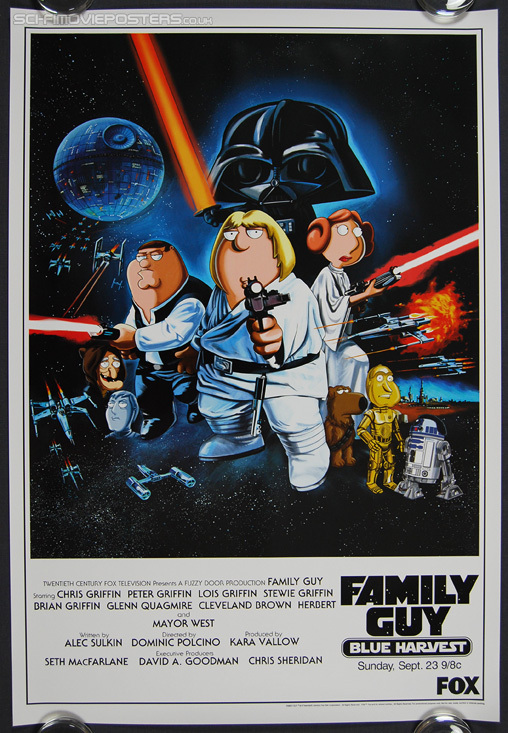 This poster, I understand, was only available as a gift for people connected with the making of this special 'Blue Harvest' Family Guy, and for promotional use. It is NOT the mass-produced souvenir poster that was sold to the public. Very rare and in stunning condition. To see a much larger photo Click Here.